Small and medium businesses are easy prey for both targeted and automated mass cyber-attacks. While cyber-awareness is growing, most small and medium businesses lack the security skills to protect themselves. This presents a win-win opportunity for both service providers and their business customers. 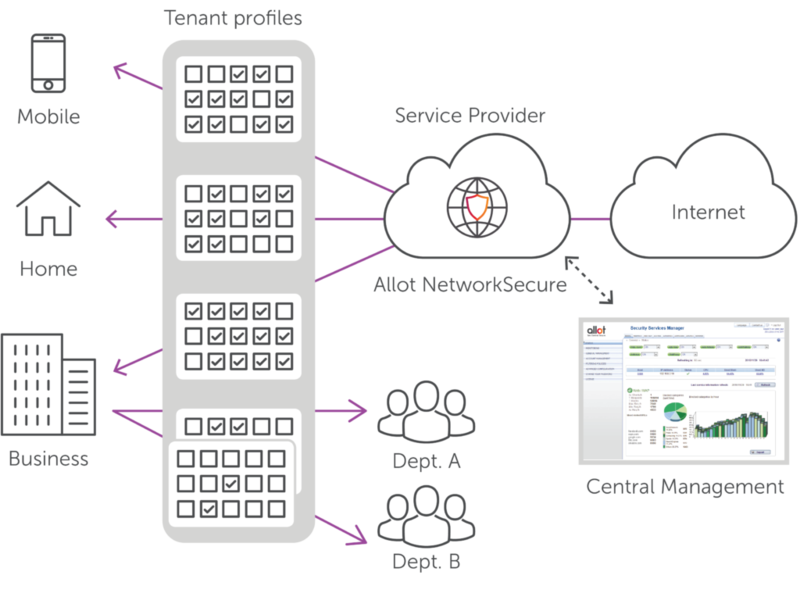 Allot’s network-based security-as-a-service solutions ensure you can protect your business customers from ransomware, cryptojacking and other types of cyber threats. Your service will generate additional recurring revenue while your business customers stay productive without interruption. Provide comprehensive Secure Web Gateway services without any on-premise installation, making it effortless for the customer. "There is a current need in the market to offer an advanced protection service for the fixed and mobile network of companies… We see the huge potential of Telefónica to achieve very high penetration rates with this type of service. We believe that this partnership is an excellent formula for success in the market." Jose Luis Gilperez, Executive Director Public Administrations, Defense and Security, Telefónica España. The Managed Security Service Provider (MSSP) market is fast evolving with increasing number of customers looking to acquire security services. A unique go-to-market for mass market Security as a Service. Deliver a unified, CSP branded security service for IoT and user devices at home, at work and on the go. Generate incremental security service revenue with network-based security services proven to achieve high adoption rates. Mobile security services powered by Allot have achieved up to 50% market penetration for operators who deploy them. With the growth of IoT devices in the home CSPs are best positioned to secure the smart-home.